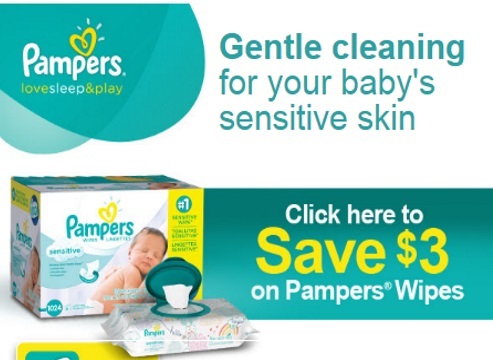 P&G has a hot coupon for $3 off when you buy any Pampers Wipes! There are lots of other Pampers coupons available at the link below too! This coupon excludes trial/travel size, value/bonus gift packs. Click here to be notified of new P&G Coupons and Free Sample offers.